Aren’t sure yet what major might be the best fit? Don’t worry. It’s ok to be undecided. It can be difficult to narrow down your choices if you show potential in several different areas or want to explore additional degree areas. As a freshman, you have a year to take some general courses, meet new friends, connect with faculty and determine what department and degree is calling your name. Take your time, keep an open mind and carefully consider your options. TU faculty and advisers are waiting to answer your questions and set you up for success. Always remember, the goal of every freshman is to become a sophomore! Accountants are the investigators of the business world, hunting for answers to important questions and helping decision makers determine the right course of action. They’re also as good with people as they are with numbers. Jobs in accounting are plentiful and diverse. Accountants fight white-collar crime, steer businesses toward financial success and help individuals make smart decisions with their money. Students who study accounting step into one of the most critical business functions. TU’s accounting curriculum keeps pace with changes in the industry, preparing students to excel in accounting roles starting on day one. The advertising program is interdisciplinary with classes in advertising, public relations, digital media, graphic design and persuasion. From devising full advertising campaigns to pitching graphic design work to real-life clients, students cultivate skills and abilities that employers look for in today’s job candidates like creativity, innovation, entrepreneurship and leadership. The African American studies program provides students with the opportunity to complement any major with classes in the history, literature, and culture of Africans and African Americans. Students can choose from a diverse array of classes like African film, African politics, civil liberties in the United States, inequality in American society, colonial America, history of rhythm and blues and many more. 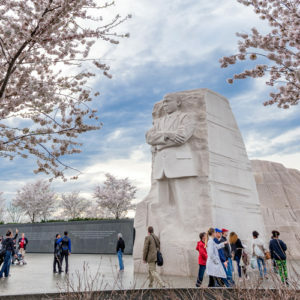 All students should emerge from the program with a better understanding of the ways in which Africans and African Americans have shaped the history and culture of the Americas. The ancient Greek program has small, student-centered language classes and challenging advanced-level courses. Students acquire greater awareness of and appreciation for ancient cultures, develop proficiency in a target language and a basic understanding of its linguistic structure. 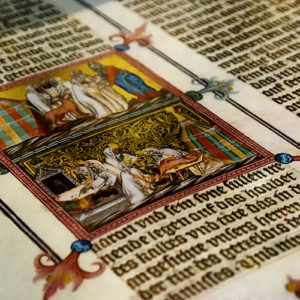 By studying and translating ancient literature, students gain a deeper understanding of textual analysis and literary genres, styles and periods; and they engage with current scholarship to prepare themselves to participate in a global society. Anthropology is the study of humans past and present. 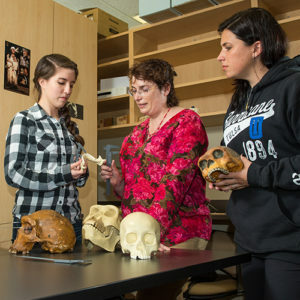 To grasp the complexity of cultures across all of human history, the program’s curriculum is based on four traditional areas of anthropology: archaeology, cultural anthropology, biological (physical) anthropology and linguistics. Students and faculty collaborate on innovative research projects in state-of-the-art laboratories and exciting field sites worldwide. Similar to the mathematics degree, a bachelor of science in applied mathematics preserves the discipline’s foundation in mathematic principles but provides a designated field of application. Students can choose an option in computer science, engineering, biomathematics, business and education. This path is best suited for those who plan to attend graduate school or work in business or industry. Mathematicians design surveys, experiments or opinion polls to collect data as well as mathematical or statistical models to analyze data. They interpret data and report conclusions from analyses to support and improve business decisions. Students in the School of Art, Design and Art History participate in a dynamic and collaborative program focused on exploring, creating and analyzing art and its practices. A broad selection of artistic media courses is offered including painting, drawing, sculpture, photography, digital media, graphic design, printmaking and ceramics. 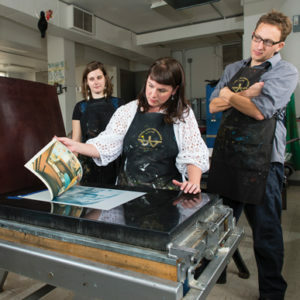 Students develop the highest professional standards in concept, technique and presentation. After a solid grounding in established art-making practices, students are encouraged to explore innovative and interdisciplinary approaches. Through service learning, internships and community engagement, graduates are prepared for rewarding careers and meaningful roles as citizen-artists. 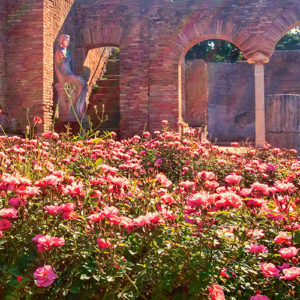 Art history offers students the opportunity to investigate the art and architecture of diverse time periods and cultures. By teaching critical skills, students can interpret the visual world around them as well as the artistic legacy of the past. Students are not only prepared for exciting careers, but they also have the cultural knowledge and creativity to imagine the jobs of the future. Through a collaborative program with the College of Law and the College of Arts and Sciences, selected students can complete their undergraduate degree and a JD in six years. At the end of their second semester in Law School and the completion of 124 applicable semester hours, students in the program will be awarded a Bachelor of Arts (BA) or Bachelor of Science (BS) degree. 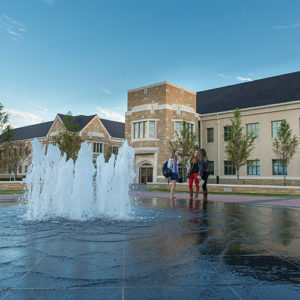 Students in the College of Arts and Sciences are eligible to apply for admission to the accelerated law program in their third year of undergraduate study at The University of Tulsa. Admission is highly selective. Arts management is an interdisciplinary program that combines arts management, business, performing arts and an area of artistic specialization in art, film, music or theatre. The curriculum is based on nonprofit management objectives while exploring the arts, public administration, financial management, grant writing and advertising theories. Students are required to complete practicums and internships culminating in a senior project. Students must also fulfill the course requirements for a minor in advertising. Arts management students graduate with foundational knowledge to manage arts organizations and foundations. The University of Tulsa’s Master of Athletic Training degree combines academic course work and supervised practice experience that prepare students to prevent, evaluate, diagnose, provide immediate care and rehabilitate orthopedic injuries and illnesses. In addition to the course work, athletic training students gain experience under the direct supervision of certified and state-licensed athletic trainers. These experiences take place in a variety of settings including Division 1 athletics at The University of Tulsa, orthopedic clinics, local high schools and occupational and industrial settings. In the final semester, students have an opportunity to choose a national or local internship as their capstone educational experience. Biochemistry involves the science of chemical and physical elements in living things and the biological functions of cell generation and progression. Many of the original theories on biochemical action and experimentation have experienced a revolutionary modernization. Biochemistry builds on the foundation of basic science as well as biology and chemistry and is useful in the field of health sciences. From the analysis of pollutant decomposition to new drug testing, biochemists isolate, analyze and synthesize proteins, enzymes, DNA and other molecules. They also research the effects of substances such as drugs, hormones and food on biological processes. Biogeosciences is an interdisciplinary degree that draws from standard curriculum in the TU Departments of Biological Science and Geosciences. Students take courses in the hard sciences, mathematics and statistics while incorporating the core fundamentals of biology and geosciences with an emphasis on Earth systems science. Students are challenged to understand organic evolution as a response to the changes of Earth’s systems while developing the ability to conduct field-based research and quantitatively analyze data. Many graduates advance to graduate school or establish careers in areas such as environmental biogeosciences or environmental forensics. 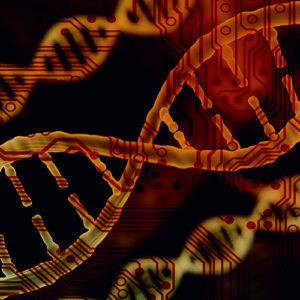 A minor in bioinformatics requires courses in molecular and cellular biology, statistics, biotechnology, genetic engineering, computational biology and math. Studying bioinformatics involves converting biological data into knowledge to solve problems in biological science for the benefit of society. 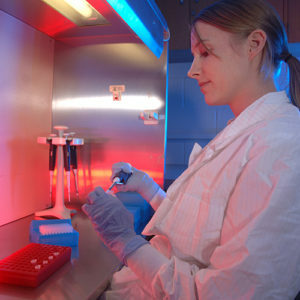 Students prepare for careers in the biotechnology sector where life science knowledge with quantitative and computational skills is in high demand. The minor focuses on developing and applying analytical methods for discovery of knowledge in large biological datasets. The biological science degree is intended for students interested in learning the basic principles of biological science as well as how general science fundamentals apply to the area of biology. Students are required to complete more humanities courses compared to those who want a bachelor of science in biology. Many students choose to pursue biological science for their undergraduate degree in preparation for medical school based on its foundational science and mathematics curriculum. The pre-med option is ideal for those interested in ultimately applying to medical, dentistry or veterinary school. Research opportunities are available in microbiology, organismal and molecular biology, ecology and genetics. A biology degree involves studying the basic principles of biological science and how general science fundamentals apply to the area of biology. Students learn the molecular processes of life in human, plant and animal communities through the study and research of organisms. Undergraduate research is available in the medical and life sciences such as health, disease, neurology and microbiology. Environmental science, forensic science, genetics and immunology are some of the fastest growing areas in biology where students can prepare for roles as qualified researchers and certified medical professionals. This interdisciplinary minor is a combination of the engineering and medical curriculums blended through applications in materials science, electronics, software development and health equipment. 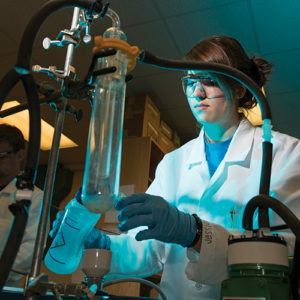 Students complete courses in biology, computer science, chemistry, chemical engineering, electrical engineering, mathematics, mechanical engineering and engineering physics. This minor offers students the chance to obtain a credential in the discipline while pursuing their major field of study. Core biology classes includes human anatomy, genetics and cellular biology along with specialized sessions in bioinformatics, robotics and artificial intelligence. 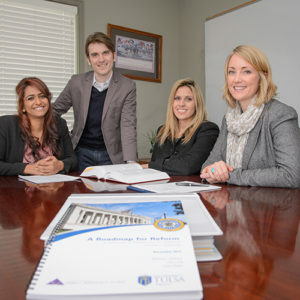 TU’s MBA options include an experiential, full-time program that bridges classroom learning and business application; a part-time, flexible program that fits a working professional’s schedule; and a combined Bachelor’s/MBA for exceptional undergraduates. No matter which option you choose, you’ll gain critical thinking skills in a personal environment that will set you apart from the competition and prepare you to lead an organization through future business challenges. An accelerated degree is an excellent opportunity to earn a bachelor’s degree in a business discipline and a Master in Business Administration from TU in less time than it would take to pursue each degree separately. 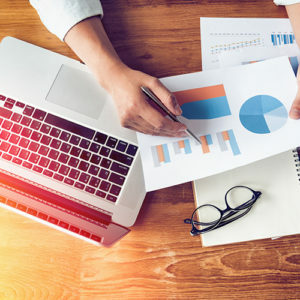 The business analytics minor is primarily designed for business students who already possess some quantitative ability and who want to further develop their knowledge and interests. The program combines fundamental computational skills, database concepts, data mining and predictive analytics tools, and business modeling techniques to establish a solid foundation of knowledge that can be used to craft a dynamic career trajectory. The minor also is available to science and engineering students. 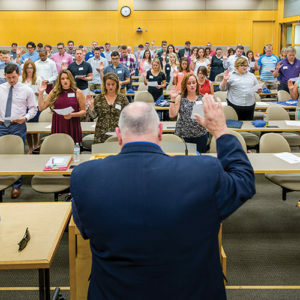 Through a collaborative program with the College of Law, selected students in the TU Collins College of Business can complete their undergraduate degree and a JD in six years. At the end of their first year in law school and the completion of 125 applicable semester hours, students in the program will be awarded a BSBA degree with a major in Business and Law. Students can apply for admission to the Business + JD Accelerated Law Program in the fall of their third year (junior year) at TU. 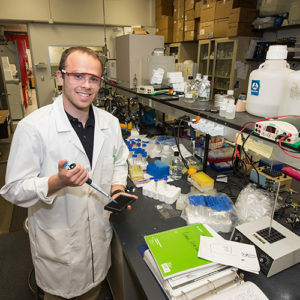 Chemical engineering students begin their bachelor’s degree with a broad base of chemistry, physics and mathematics to acquire engineering design tools. Students are educated to think critically about engineering design problems while considering the fundamentals of engineering and science to apply their skills in many industrial areas. Specializations are available in pre-med, business, refining, materials and environmental areas. 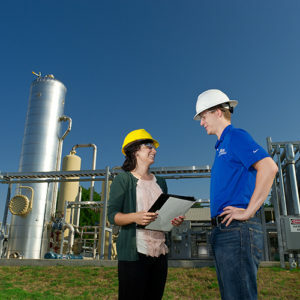 Graduates work in a broad range of fields including alternative energy, biotechnology, chemicals, environmental engineering, materials, natural gas and petroleum. 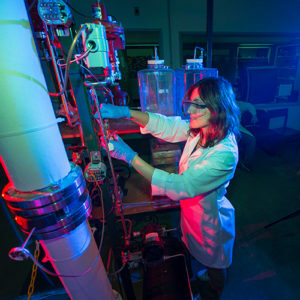 The TU chemical engineering experimental facilities and teaching laboratories are built around the industrial models of process control equipment and introduce the practical scenarios of professional engineering and graduate school settings. The bachelor of science degree in chemistry is certified by the American Chemical Society. This degree and the bachelor of arts degree include courses in chemistry, physics, mathematics, writing and humanities as well as interactive laboratories and a senior research project that serves as the groundwork for graduate or advanced professional study. Supporting work in mathematics and physics as well as personal selection of electives allow students to customize their degrees and match career objectives in environmental, advanced materials, applied, health and traditional areas of chemistry. The Chinese language program has small, student-centered language classes, study abroad experiences and challenging advanced-level courses. 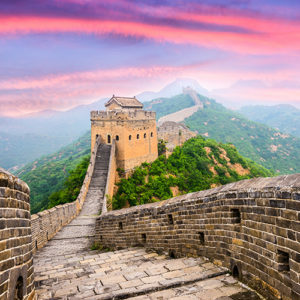 Students acquire greater awareness of and appreciation for Chinese-speaking cultures, develop proficiency in Chinese and a basic understanding of its linguistic structure. By studying foreign literature, students gain a deeper understanding of textual analysis and literary genres, styles and periods; and they engage with current scholarship to prepare themselves to participate in a global society. Chinese Studies is a cross-cultural dialogue within an increasingly global community. Spanning language, history, economics and literature, this interdisciplinary major can also be taken as a second major or minor. By pairing Chinese Studies with other academic interests, the program becomes more integrative and holistic. Coordinating with the Center for Global Education, the faculty evaluates study abroad opportunities in diverse Chinese-speaking areas. 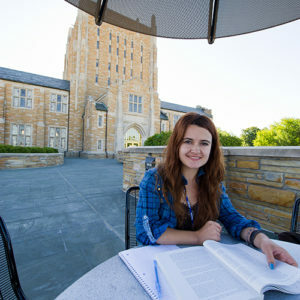 The program’s mission is to equip students with uniquely integrated skills and wisdom to pursue international careers and lead future intellectual exchange. The classical studies program is designed for the traditional and nontraditional student who wants to acquire a solid foundation in the Greco-Roman world and its legacy. Students focus on languages, literature and civilizations. Through an emphasis on original text, students explore the powerful art of persuasion and rhetoric, philosophy and mythology. By gaining a deeper understanding of who they are and their place in the world, the program imparts crucial analytical and critical thinking skills. 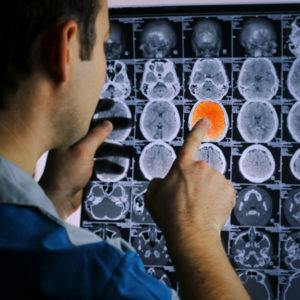 Clinical psychology course work includes formal course work in the core areas of psychology, research methods, personality and psychopathology, principles of psychological assessment and intervention and professional issues in clinical psychology. The program trains students to do what psychologists actually do in today’s society: ethically apply knowledge of psychological theory, assessment, research methodology and clinical skill to complex clinical problems. The program is based upon the scientist-practitioner model: psychological practice is the application of the theory, methods and results of scientific psychology to clinical problems. The coaching minor prepares students for coaching positions in a variety of athletic settings and is offered to non-exercise and sports science/athletic training majors. The course work required for this academic minor promotes student understanding of functional anatomy, basic injury prevention and care, and developing basic instructional skills. Students have the ability to tailor their minor through required elective course work. Minoring in computational sciences involves using complex calculations to help solve problems in science and engineering. Students learn to conduct specific functions by exploring math-based computer science techniques such as algorithms. Courses include scientific programming, linear algebra and matrix theory, molecular modeling, experimental design and finite element analysis. This area is ideal for students interested in mathematical and computational techniques to advance fields that require extensive computation and data analysis. The degree offers an introduction to the concepts of computation, problematic modeling and statistical analysis. The Department of Electrical and Computer Engineering offers a master of science in engineering and a master of engineering in computer engineering as well as a doctor of philosophy in computer engineering. Students study computer circuitry, parallel computing, software system design, information theory, digital image processing and much more. The master of science in engineering is research oriented and requires a formal research thesis while the master of engineering program is course oriented. These programs provide advanced participation in specialized areas of electrical and computer engineering for recent graduates and working engineers who wish to improve their skills. Areas of interest include intelligent systems, renewable energy, robotics, embedded systems, VLSI design, power engineering, optical sensors and processing. If you’re a tech-savvy problem solver, then the computer information systems (CIS) field is for you. A career in CIS is quickly becoming one of the most alluring in the business world. 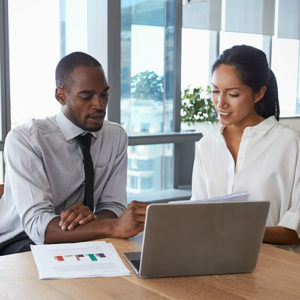 In the age of digital information and communications, employers demand business professionals who can analyze the information needs of decision makers, design and specify systems to meet those needs and manage the computer technology requirements crucial to an organization’s competitiveness. CIS experts design and build systems to help gather the information necessary to run a business and help managers make critical decisions. CIS offers opportunities to work closely with professionals in accounting, finance, management and operations. New applications of technology in the workplace will continue to drive demand for CIS professionals. The bachelor of science in computer science degree combines mathematics and the sciences with core computer science courses and is accredited by the Computing Accreditation Commission of ABET, Inc. Graduates design new approaches to computing technology while studying, testing and analyzing software systems that drive today’s computing experience. 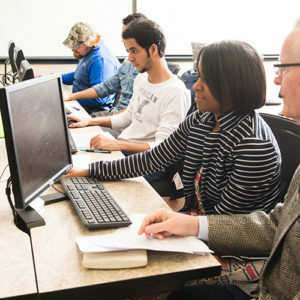 Computer science students take classes in theory, design and processing techniques and are encouraged to pursue other advanced courses in game programming, web design, mobile app development, artificial intelligence, computer security and robotics. 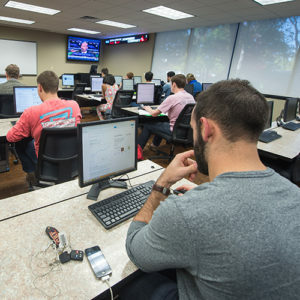 The degree is offered by the Tandy School of Computer Science, one of the top cyber security programs in the country designated as a National Center of Academic Excellence in Cyber Operations. 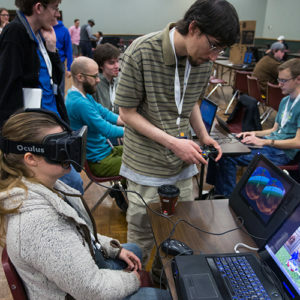 TU’s computer simulation and gaming degree is modeled after the country’s top programs with a curriculum that features a set of core computer science classes along with more flexible options related to the gaming industry. The program allows students to combine highly technical skills with creativity in all areas of digital media such as art and imagery, animation, production, 3D modeling and sound engineering. Other courses provide basic knowledge in game programming and software development through theoretical and mathematical learning. Students launch their own successful entrepreneurial ventures or fill critical roles in some of today’s most well-known gaming companies. Creative writing offers dynamic opportunities in creative expression to prepare for exciting writing careers. 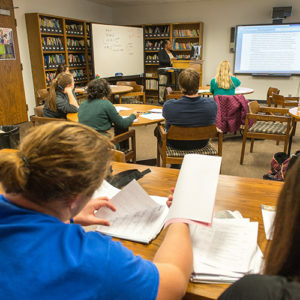 Students study literary technique, style, form, genre and the Anglo-American literary tradition while developing as poets, writers of fiction, creative nonfiction and performance-based work. Pursuing a degree in creative writing allows students to customize their course schedules with a freedom that reflects individual vision and voice. Classes are available in five departments: communication, English, film studies, languages and theatre. 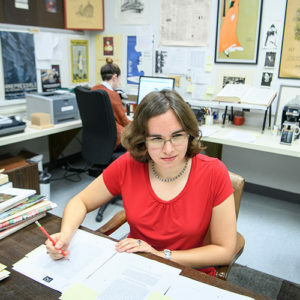 Students work closely with award-winning faculty whose accolades include a Guggenheim fellowship, a National Endowment for the Humanities fellowship, a Truman Capote fellowship and many more. The master of science in cyber security offers thesis and non-thesis options for students to fill one of the more than one million cyber security jobs that remain unfilled worldwide. TU alumni are well-equipped to meet the demands and serve in intellectually stimulating and personally rewarding roles that strengthen national and global security. 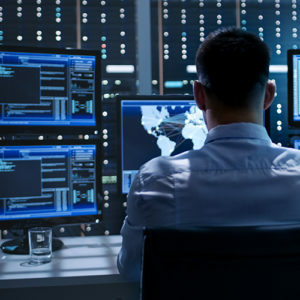 Students gain experience in the theory, concepts and techniques of information assurance and network defense in real-world settings. Students have an opportunity to advance in integral areas of cyber security and computer science such as applications development and maintenance, system administration, network administration, policy development, training, management, academia and industry. The master of science in cyber security professional track is designed for working professionals seeking to gain the skills and expertise necessary to thrive in cyber security. The program offers online and immersive courses students complete in 24 months while continuing their full-time careers. Dance students receive a foundation in dance technique, choreography, dance history and even human anatomy. From ballet to tap dancing, students not only learn to perform but also how to choreograph their own modern dances. Students who wish to pursue a dance minor should demonstrate a strong ability in dance. Deaf education prepares teachers of deaf and hard of hearing students to work in a variety of school settings either as a teacher or a consultant for students mainstreamed into general education classes. The program is ideal for working with diverse populations of students who are deaf and hard of hearing including those who use American Sign Language and/or use hearing technologies such as cochlear implants and are learning to listen and speak. Opportunities for interacting with deaf and hard of hearing children and adults are arranged through community organizations and within public schools. The digital studies minor examines the digital tools, cultures and practices that impact the world of communications. The minor teaches students how to work with the three “T”s — theories, tools, and teams — to help students grapple with the theoretical, historical, critical or otherwise big picture humanist problems preoccupying the digital world. They gain practical competence in the use of relevant digital tools and technologies and organizational agility through project-oriented teamwork. The TU School of Nursing offers cutting-edge advanced practice nursing graduate programs that culminate with the Doctor of Nursing Practice (DNP) degree. The graduate nursing programs at TU provide rigorous didactic and clinical experiences that prepare nurses to provide care and lead change. 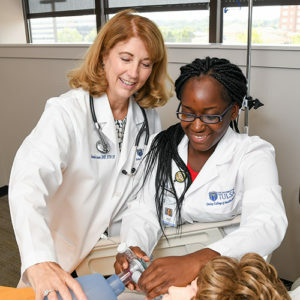 TU offers clinical concentrations in Adult-Gerontology Acute Care Nurse Practitioner and Family Nurse Practitioner as well as a post-master’s to DNP track for APRNs. Instructional preparation with intensive patient simulation and skills laboratory time is combined with faculty arranged clinical practicums and focused preceptors to provide an optimal learning environment for students. The early intervention program is designed for students who plan to work with young children with special needs and their families and is recommended for, but not limited to, students in communication disorders, education, nursing and psychology. The mission is to offer a state-of-the-art program for students seeking careers in our nation’s schools or social services. Issues of race, gender, socio-economic class, equity, linguistic pluralism and social justice can be found in every classroom whether urban, suburban, rural, public or private. These issues form the philosophical foundation and the platform upon which students’ course of study are constructed. The Earth and environmental sciences degree provides a strong background in science and technology. The program is ideal for students interested in careers related to environmental studies and management, geological analysis and natural resource surveying. Earth and environmental sciences majors apply their knowledge to preserve the environment and human health. With their education, they can work in industry, help develop environmentally friendly policy or research ways to reduce waste and fight pollution. Do you ever wonder what motivates people to buy what they buy when they buy it? Economics deconstructs consumer behavior, explaining why your favorite brand of shoes costs so much and how the principle of supply and demand affects prices. Economists study how society distributes resources, such as land, labor, raw materials and machinery, to produce goods and services. They may conduct research, collect and analyze data, monitor economic trends or develop forecasts. Economists research a wide variety of issues including energy costs, inflation, interest rates, exchange rates, business cycles, taxes and employment levels, among others. Majoring in economics hones students’ technical competence and analytical abilities. Typically, economics majors pursue MBA degrees, landing jobs as business consultants in the nonprofit, private or public sectors or becoming college professors or government economists. The mission is to offer a state-of-the-art program for students seeking careers in our nation’s schools. Issues of race, gender, socio-economic class, equity, linguistic pluralism and social justice can be found in every classroom whether urban, suburban, rural, public or private. These issues form the philosophical foundation and the platform upon which students’ course of study are constructed. The teaching areas of study are anthropology, biology, chemistry, geosciences, physics, mathematics, English, French, German, Russian, Spanish, history, political science, sociology, art, theatre, music education, exercise and sports science, elementary education or deaf education. 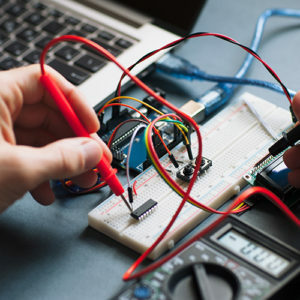 Electrical and computer engineering involves researching, developing and testing electronic and computer components. These engineers study computing processes, circuit boards, memory devices, networks and routers while examining new frontiers in computer hardware. The electrical and computer engineering field is marked by its advancements in areas of technology such as optics, electric power systems and microelectronics. Students prepare for careers designing technology that simplifies day-to-day tasks while protecting the nation against cyber attacks to the nation’s infrastructure. Alumni develop and apply computer technology in industrial, commercial and military markets. From motors to radar systems and power equipment, the work of electrical engineers contributes to the manufacturing, construction and installation of equipment to improve quality of life. Electrical engineers design and build equipment essential for communications systems, motor vehicles, aircraft and navigation networks. Students in this degree program are interested in researching, developing and testing optics, circuitry and other electronic power systems that often contribute to the innovative models of smart houses, self-driving cars, medical instruments and the nation’s power grid. The mission is to offer a state-of-the-art program for students seeking careers in our nation’s elementary schools. Issues of race, gender, socio-economic class, equity, linguistic pluralism and social justice can be found in every classroom whether urban, suburban, rural, public or private. These issues form the philosophical foundation and the platform upon which students’ course of study are constructed. The teaching areas of study are anthropology, biology, chemistry, geosciences, physics, mathematics, English, French, German, Russian, Spanish, history, political science, sociology, art, theatre, music education, exercise and sports science, elementary education or deaf education. The interdisciplinary minor in energy and environmental resources management is for students pursuing any major (other than Energy Management) at TU. The management of energy and environmental resources is a rapidly expanding field that draws on technical and nontechnical disciplines used in planning, analyzing, directing, governing and accounting for the energy needs of communities, corporations and government entities. The online Master of Energy Business provides an extraordinary educational experience that blends sound business knowledge and skills with contemporary energy issues and perspectives. The curriculum is delivered in a practical and applied approach, providing individuals what they need to know to run and manage an energy company. Graduates leave with a total system perspective of the energy industry and possess the knowledge and skills they need to flex their careers as the industry evolves. The energy minor is open to students pursuing a business degree. It encompasses fundamental knowledge of energy industry operations and permits students to more effectively target their education for careers across the global energy landscape. 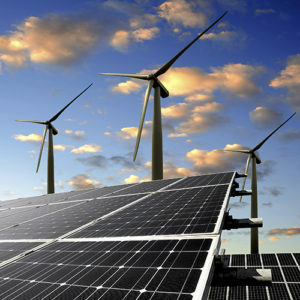 Adding the minor in energy business may provide graduates in traditional business disciplines such as accounting, finance, management, computer information systems and economics with a specific edge in the employment competition. TU’s interdisciplinary energy management major gives students a foundation in accounting, business law, finance, environmental economics, geology, petroleum engineering and energy commodities trading. Energy management graduates can land lucrative jobs upstream in exploration and production, midstream in energy commodities trading or downstream in processing and manufacturing. 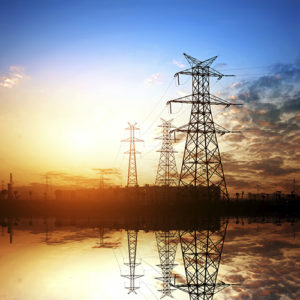 The job outlook for the energy management field is optimistic. An aging workforce that will soon retire means younger professionals have the opportunity to advance quickly in this career. The field of physics generally involves studying the universe through string theory, particle physics, quantum mechanics and astrophysics. However, engineering physicists are more interested in applying their skills and knowledge to innovation and problem solving in wide ranging areas such as materials science, nanotechnology, quantum computing, lasers, semiconductors and astrophysics. The engineering physics degree differs from other engineering courses of study in that additional mathematics and physics courses are substituted for select upper level courses. 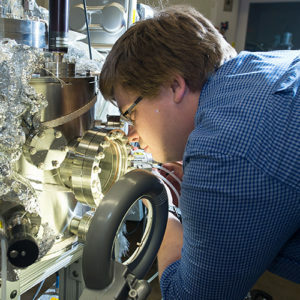 Through an interdisciplinary curriculum, engineering physics students prepare for rapidly changing careers that overlap traditional boundaries between science and engineering. The English program provides historical and critical exposure in British, American and Irish literature while offering opportunities to attend creative writing workshops, lectures and conferences led by novelists and poets of international recognition. Classes typically range in size from 15 to 20 students and emphasize lecture and discussion. Alumni often pursue advanced degrees in law, medicine or business, but also are well respected in the fields of journalism, publishing, teaching, advertising, public relations and marketing. An English degree is foundational knowledge for other careers beyond communication including social work, law, public service, business and health care. 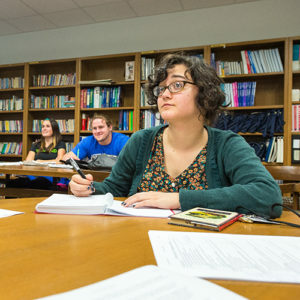 In TU’s nationally recognized graduate English programs, students train as teachers, scholars and writers to advance in existing careers and to become professors and research writers in specific literary fields. Students work closely with graduate faculty in small seminars that average eight students, in one-on-one independent and directed readings and in workshops on writing and teaching. There are no required courses or courses of study. Instead, students choose from among the seminars offered each semester according to their individual interests and particular professional needs. Environmental policy students combine an understanding of environmental problems with knowledge of human needs, history, politics and economics to derive practical solutions to environmental issues. 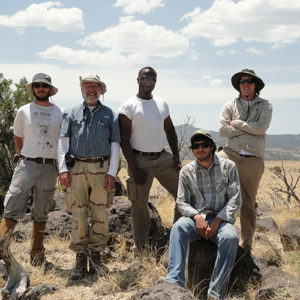 They engage in an interdisciplinary study of humankind’s impact on nature. Those in the field may study policy on polluted areas, advise environmental officials and promote waste reduction in the industry. Students can custom design their degree plan based on their area of strength such as field ecology, plant diversity, environmental anthropology, hazardous substances, constitutional law or environmental issues in developing nations. Exercise and Sports Science practitioners provide health care, technique and skill instruction as well as performance enhancement for the physically active population. Students gain foundational knowledge for this practice by studying how physical activity influences the human body. 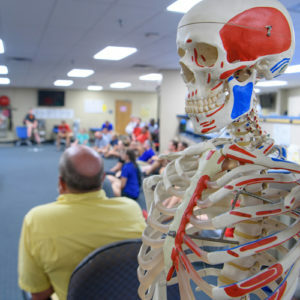 The Exercise and Sports Science degree program at The University of Tulsa has the flexibility to prepare students for graduate or professional healthcare programs, such as medicine, physical therapy, occupational therapy, cardiac rehabilitation and athletic training or other fields related to exercise science within the corporate or commercial fitness setting. 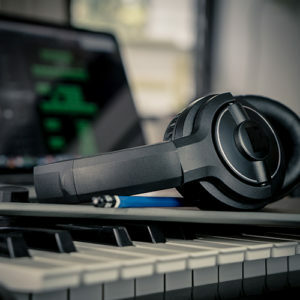 Film scoring offers students an introduction into the art and technology of scoring music for film. Guests from the film scoring industry mentor students and even record scenes from films with full orchestra. 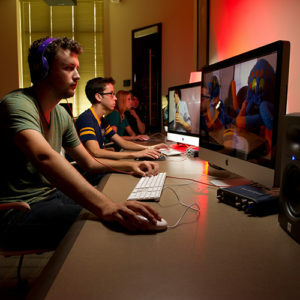 Young film composers develop competitive portfolios while working in state-of-the-art studios and post-production labs. Seniors work closely with faculty to create a capstone film or screenplay project. Hollywood directors such as Ed Ornelas, actors like Tim Blake Nelson and authors including TU alumna S.E. Hinton have visited campus for guest lectures and seminars. Film Studies offers students the opportunity to study every aspect of film including history, theory, production, screenwriting and scoring. Students choose from more than 40 courses in film genres, scoring, writing, narrative and animation filmmaking, documentary, digital recording, entertainment law, editing and television. 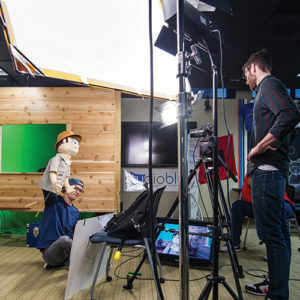 Young filmmakers develop competitive portfolios while working in state-of-the-art studios and post-production labs. Seniors work closely with faculty to create a capstone film or screenplay. Hollywood directors such as Ed Ornelas, actors like Tim Blake Nelson and authors including TU alumna S.E. Hinton have visited campus for guest lectures and student mentoring. The number of career paths and options in finance is extensive, including corporate finance, banking and investment planning. Finance majors help track daily operations within an organization, analyze the current financial position and plan for future corporate expenditures and acquisitions. 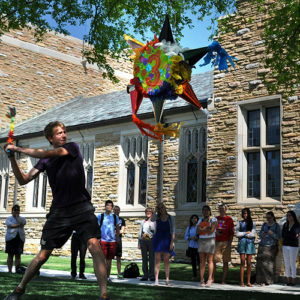 TU students can gain hands-on experience by managing the Student Investment Fund, a $5 million portfolio of real money. 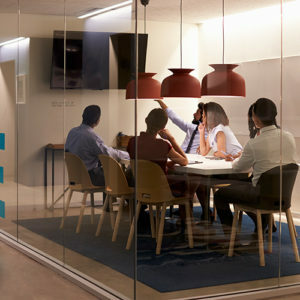 In our Risk Management Center, a lifelike financial laboratory complete with stock ticker boards, extensive financial databases, Bloomberg terminals and computers, students can apply concepts learned in the classroom. 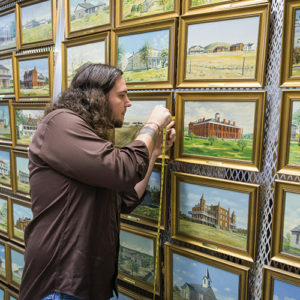 The three-year Master of Fine Arts degree in studio art is aimed at students interested in developing their portfolio and gaining skills to prepare them as teachers and practicing artists. Students develop the highest professional standards in concept, technique and presentation. The French language program has small, student-centered language classes, study abroad experiences and challenging advanced-level courses. Students acquire greater awareness of and appreciation for French-speaking cultures, develop proficiency in French and a basic understanding of its linguistic structure. 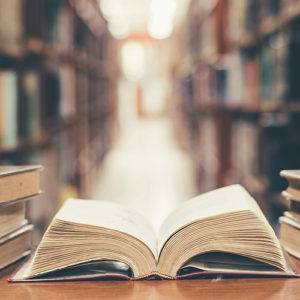 By studying foreign literature, students gain a deeper understanding of textual analysis and literary genres, styles and periods; and they engage with current scholarship to prepare themselves to participate in a global society. A bachelor’s degree in geology provides students with a broader education to apply geological sciences in non-technical careers such as scientific writing, business and elementary or secondary teaching. Geologists study the history, materials, processes and products of the Earth. Some pursue academic interests such as studying how mountains form and erode while others are interested in practical applications. They explore fossil fuels and minerals or plan construction sites and disposal locations that account for the environmental effects of such activity. TU’s undergraduate degree in geophysics provides students with the fundamentals of the physics discipline as they study Earth’s materials and organic systems. Geophysicists seek to better understand these natural functions and use physics principles to improve quality of life and the environment. Students who major in geophysics often continue their education in specialized graduate programs related to resource management and exploration. Geophysicists are interested in ecology, mineral physics, seismology, volcanology and geographic mapping where they apply geology, physics and math to study flood control, energy extraction, water contamination and much more. The geosciences degree prepares students for careers in the study of Earth’s physical characteristics including composition, structure and processes. As a geoscientist, graduates can work at organizations, corporations and government entities as well as in mining, quarrying and oil and gas extraction industries where fieldwork is prominent. 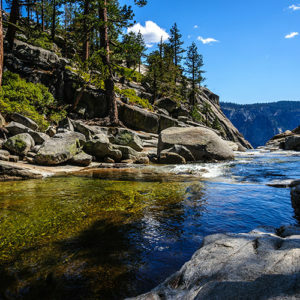 The environmental sciences option of the geosciences degree provides the tools needed to investigate the Earth’s components while considering environmental factors. The geology option offers a broader education to apply geological sciences in nontechnical careers such as scientific writing, business and elementary or secondary teaching. The geophysics option provides students with the fundamentals of the physics discipline as they study Earth’s materials and organic systems. The biogeosciences option incorporates the hard sciences, mathematics and statistics with the core fundamentals of biology and geosciences to focus on Earth systems science. The German language program has small, student-centered language classes, study abroad experiences and challenging advanced-level courses. 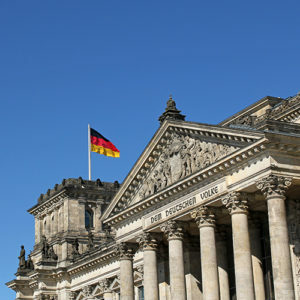 Students acquire greater awareness of and appreciation for German-speaking cultures, develop proficiency in German and a basic understanding of its linguistic structure. By studying foreign literature, students gain a deeper understanding of textual analysis and literary genres, styles and periods; and they engage with current scholarship to prepare themselves to participate in a global society. The Certificate in Health Care Delivery Sciences offers opportunities for mid-career professionals to lead the future of the health industry. Through our online-based program, we help learners understand the current state of healthcare delivery, while preparing them for future trends in clinical, financial and regulatory policies. 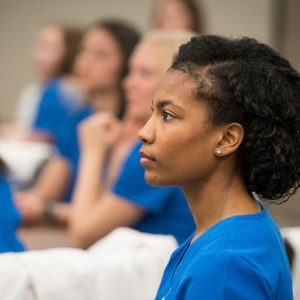 Students in the program will receive training in a broad number of skills including population health, policy, healthcare financing, communications, quality improvement, safety, ethics, and health information technology – with special emphasis on the interplay between physical wellness, behavioral illness and the social determinants of health. The Health Sciences Minor is intended to provide students with a broader understanding of universal concepts related to health and healthcare. It is recommended for students from any major who plan to work in any aspect of healthcare. The coursework required for this academic minor allows students to tailor the 12 required credit hours from a list of courses that represent a variety of health and healthcare related disciplines. 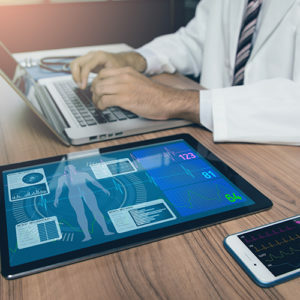 Health care informatics is an emerging field that combines technology with health care to support better patient outcomes by transforming the planning, delivery and management of health care. TU’s health care informatics minor was created to meet a growing demand for professionals who understand health care, information systems and rapidly changing technology. 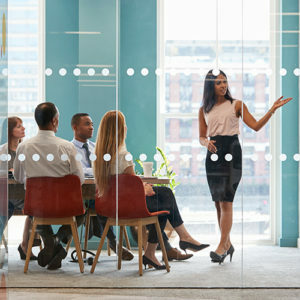 The U.S. Department of Labor estimates a 49 percent growth in demand for trained individuals who can serve as administrators, specialists, consultants, educators and researchers at organizations such as health care facilities, government agencies and the military, academic institutions and community-based organizations. The high performance computing minor is designed to help students prepare for careers in supercomputing. High performance computing is applied in many disciplines such as physics, geophysics, geology, petroleum engineering, mechanical engineering, electrical engineering, computer engineering, mathematics, chemistry, chemical engineering and biology. 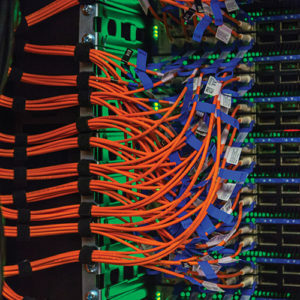 Supercomputers often are used to solve multidisciplinary topics, and teams of engineers at the professional level prefer members skilled in computer programming, hardware and web domains. The objective of the minor track is to help students develop a core set of competencies and solve problems that require large processing capabilities beyond those found in mainstream computers. Students must take 15 credit hours in foundational mathematics, foundational programming, high-performance computing core and electives. Examples of supercomputing include modeling quantum mechanics or searching large medical data sets to determine which protein structures are effective in fighting disease. History exposes students to significant historical issues while challenging the intellect, sharpening analytical skills and stimulating the imagination. 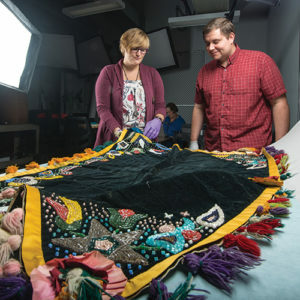 Historians are key contributors at government agencies, museums, archives, historical societies, research organizations, nonprofits and consulting firms. 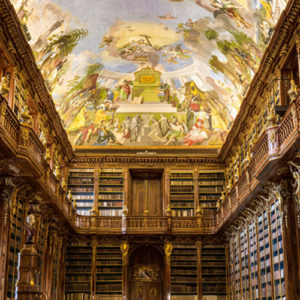 Students are encouraged to specialize in the following areas: premodern Europe, the United States, Latin America, Russia and Eastern Europe, Western Europe and the Far East. 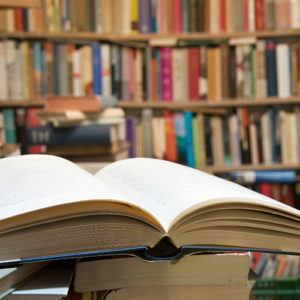 The major encourages a comparative approach to learning, initially focusing on ancient, modern and non-Western history. Students choose from an innovative list of specialized or thematic courses within a geographical area of interest. Industrial-organizational psychology focuses on mastering key knowledge and skills needed to help organizations succeed; and the doctoral program expands those skills, targeting creation and dissemination of new knowledge in the field of I-O Psychology through scientific research. Types of courses offered include job analysis, employee selection, training, leadership, work motivation, organizational development, psychological measurement and statistics. The program is designed to develop the skills necessary for basic consulting projects in business and government. Graduates typically find jobs involving analysis of jobs and people as a basis for improving the fit between them. 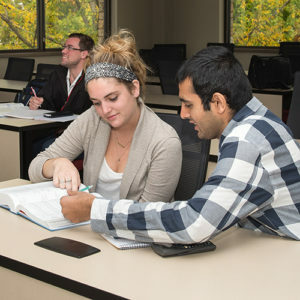 The information technology program offers students a foundation in computer science with supporting subjects selected from business, economics and statistics courses. 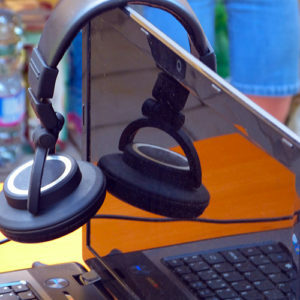 While studying the computer science curriculum, students develop and manage applications with an understanding of commercial markets. The degree specializes in designing and deploying IT infrastructures to deliver services that are secure, reliable and easy to use. IT specialists are experts in the selection, creation, application, integration and administration of computing technologies that lead to careers in industry or government as well as advanced graduate study. Students begin the minor in innovation and entrepreneurship in their sophomore year and complete it during their senior year. After taking three fundamental courses, students can choose two additional courses to specialize in business, social or technology entrepreneurship. The international business minor is designed for business majors and combines a competency in a modern foreign language, international business courses and electives that cover economics, international relations and cultural awareness and understanding. Students are required to participate in study abroad programs. The minor includes intermediate language proficiency. TU’s international business and language degree prepares students for success in the global marketplace. IBL combines foreign language competency and course work in international business with a business degree. IBL students participate in study abroad and often find international business internships hosted by foreign companies. A comprehensive business foundation combined with an understanding of cultural nuances position graduates to compete successfully in an international arena. The JD program prepares students to excel in legal and related professions. Outstanding faculty, high-level scholarship, robust experiential learning programs, and a commitment to public service and professionalism stand at the core of the college. Selected as a “Best Value Law School” by preLaw Magazine, TU Law was recently ranked #1 in Oklahoma and #15 nationally for 2017 graduate job placement in Bar license required and JD advantage jobs. Students can specialize in criminal, energy, environmental, family, health, intellectual property, immigration or Native American law. Accelerated and joint degrees are offered along with study abroad options. The Latin language program has small, student-centered language classes, study abroad experiences and challenging advanced-level courses. Students acquire greater awareness of and appreciation for ancient cultures, develop proficiency in Latin and a basic understanding of its linguistic structure. By studying foreign literature, students gain a deeper understanding of textual analysis and literary genres, styles and periods; and they engage with current scholarship to prepare themselves to participate in a global society. The linguistics minor is interdisciplinary by design and utilizes expertise in disciplines of languages, linguistics, education, anthropology and speech pathology. It provides students with knowledge and understanding of contemporary topics and problems in linguistics in areas such as Indo-European, non-Indo-European and classical languages, diachronic and synchronic linguistics, and anthropological, sociological, applied and theoretical linguistics. The program has small, student-centered language classes, study abroad experiences and challenging advanced-level courses. Students acquire greater awareness of and appreciation for other cultures, develop proficiency in a target language and a basic understanding of its linguistic structure. Management majors can specialize in innovation and entrepreneurship, business law, sport management or human resources management. They formulate the policies and direct the operations of corporations, nonprofit organizations and government agencies, or chart their own path by pursuing new ventures as entrepreneurs. Students have numerous opportunities for practical, hands-on learning. At TU, management majors develop communication, critical thinking and problem-solving skills while learning management concepts. 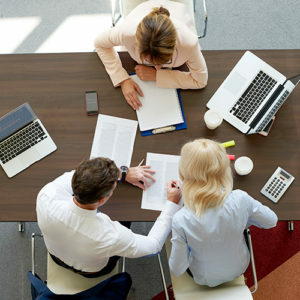 Marketing professionals solve a fundamental problem — how to connect a product or service to its customers. TU marketing majors develop communication, problem-solving and critical thinking skills in the classroom. After learning the theory of marketing, students are given opportunities for practical, hands-on experience with real-world clients. 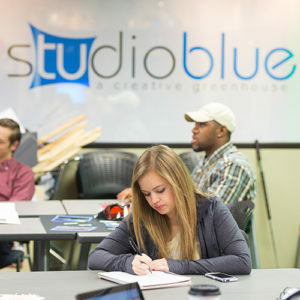 Studio Blue, TU’s creative greenhouse, encourages innovation and problem solving in a free-flowing environment equipped with mobile furniture, magnetic and dry-erase walls, a viewing room for focus groups and other brainstorming tools. TU Law offers two online graduate law and policy degrees for non-lawyers including the Master of Jurisprudence in Energy Law and the Master of Jurisprudence in Indian Law. Designed for working professionals, these degrees teach the fundamentals of law and regulations in a chosen specialty. As a private school, TU Law offers first-rate faculty and industry experts. 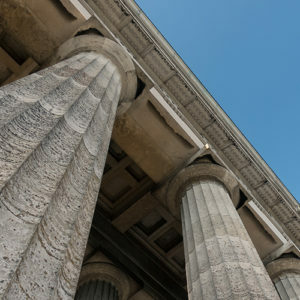 The state-of-the-art online classroom allows students to build relationships with peers and faculty while learning about the latest regulations and legal requirements in Energy or Indian law. The LLM degree is an advanced degree for Juris Doctor (JD) and Bachelor of Law (LLB) graduates or current JD students who meet certain requirements. TU Law offers three Master of Laws specialties — Energy and Natural Resources Law, American Indian and Indigenous Law and American Law for Foreign Graduates. With more than 40 years’ experience in these areas, TU Law’s curriculum inspires law graduates to examine advanced legal and policy approaches each the chosen specialty. Mathematics majors solve challenging problems in science, engineering, business, education and government. 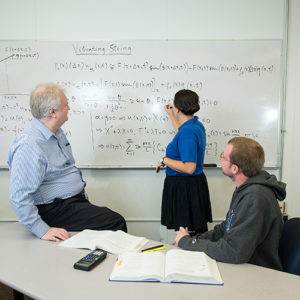 TU’s curriculum emphasizes the theory and application of math while promoting the use of modern communication tools, modeling and computation necessary for interdisciplinary problem solving and research. Students prepare to use advanced mathematics in the development of mathematic principles, data analysis and problem solving. They work closely with engineers and scientists in government, private corporations and research companies. Math graduates are essential to the fields of computer science, engineering, bioinformatics, data mining, computer animation, economics, epidemiology, ecology and climatology. 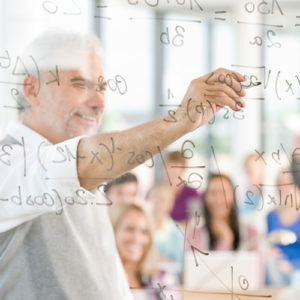 The Master of Science in Mathematics and Science Education is a collaboration between the Department of Education and The College of Engineering and Natural Sciences. This program provides a solid background in mathematics and science principles for application within formal and informal classroom settings. It is designed for certified and practicing teachers and others with degrees or work experience in the fields of science, technology, engineering and mathematics (STEM) who wish to enhance their subject matter knowledge and skills in science and math disciplines. It includes a core of research courses, professional education courses and electives in math and science. Mechanical engineering majors complete courses rooted in mathematics and sciences while developing creativity, disciplined reasoning, communication skills, knowledge of advanced technology and sound ethical practices. The TU curriculum and its interactive teaching methods help students shape their experimental skills while learning theory and analyses of product design and development. The program is renowned for its hands-on projects that serve local industry and community organizations. As skilled technicians in one of the broadest engineering disciplines, mechanical engineers enjoy careers in the development, construction, testing and implementation of tools, engines and machines. Students examine the role of communication in society and explore its major theories. The faculty seeks to foster a critical commitment, expressed through many media (writing, public speaking, moving images, sound, etc. ), to serve civic responsibilities and social progress. Courses develop analytic thought, clear writing, visual literacy, effective speaking and cultural, global awareness, which prepare students for graduate study and career success. The programs is committed to critically and creatively engaging the world of media so that students become more fluent communicators, critical analysts, storytellers and creative directors. The certificate in medieval and early modern studies is an interdisciplinary program spanning the years c. 300 to 1800 CE with a focus on the geography, cultures and the intellectual traditions of Europe. The program is based on an awareness that Europe did not exist in isolation and must be studied in broader context, with attention to its environs, colonies, trade routes and to sources of artistic, intellectual and theological inspirations. The program includes offerings from seven different departments: anthropology, art history, English, languages, history, music, philosophy and religion. The museum studies program is designed for students who wish to enhance their knowledge of the history and role of museums as well as issues of cultural heritage and historic preservation. 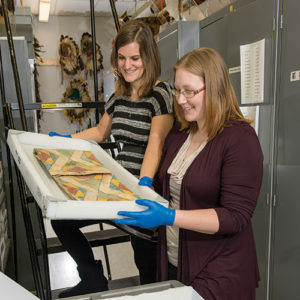 Students are prepared for graduate study leading to careers in museum work by exploring the curation of material culture including ethnographic, artistic and historical artifacts, everyday museum operations, and museology’s current theoretical, political and ethical concerns. TU’s School of Music upholds a rich tradition of excellence in music performance and exceptional teaching by distinguished faculty. 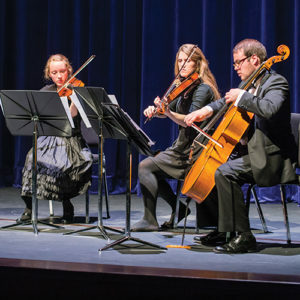 Students follow a comprehensive music curriculum that offers many vocal and instrumental ensembles with emphases in jazz, classical and film music. Undergraduate degrees are available in music, music education, instrumental performance, piano performance, vocal performance, composition, instrumental music and vocal music. Students may join any of TU’s performance organizations including the Concert Chorale, Cappella Singers, Opera Workshop, Symphony Orchestra, Sound of the Golden Hurricane Marching Band, Jazz Band, Vocal Jazz, Wind Ensemble and Symphonic Winds. The theatre and musical theatre program offers a core curriculum supporting the collaborative process essential to theatre. Students choose courses leading to a general education in theatre or an emphasis within the art form. At the end their freshman year, students must audition for a specialization: acting, musical theatre, design/technical theatre, stage management, playwriting, history and literature and directing. Students are expected to participate fully in the production aspects of the theatre program as the essential laboratory in which course work is integrated. The student may specialize in performance, design/technical or playwriting or choose to pursue a general theatre degree. TU’s minor in neuroscience provides foundational knowledge of the structure and function of the brain and nervous system. The program is a collaboration between multiple departments in the College of Engineering and Natural Sciences and the Kendall College of Arts and Sciences. The curriculum requires 22 credit hours in the biological science, biochemistry, psychology and computer science programs. Enrollment is open to students in all colleges and is especially ideal for those considering graduate study in neuroscience or careers in medicine, psychology, occupational therapy and artificial intelligence. For more than 40 years, the TU School of Nursing has been transforming exceptional students into nurses who can forever change the lives of others and the communities in which they live. As part of the Oxley College of Health Sciences, our faculty and students collaborate, research and learn the best practices that advance the science and art of nursing. The Bachelor of Science Nursing program combines a strong educational core that fosters critical thinking with clinical training that incorporates the latest technology and protocols. Students graduate equipped to practice in a variety of complex clinical settings. Saint Luke’s Health System – Kansas City, Mo. Organizational studies blends the disciplines of organizational communication and industrial organizational psychology with management. By studying organizational behavior and structure in the public and private realms, students acquire the knowledge and skills that prepare them for entry-level administrative positions in both public and private organizations. 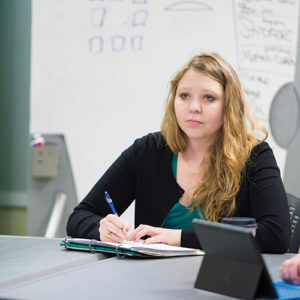 The organizational studies major builds on the general education through a variety of courses in business, management, communication and psychology. The interdisciplinary degree allows students to custom design their schedule based on individual interest. The petroleum engineering undergraduate program prepares students for exciting energy careers in the United States and abroad. Petroleum engineering focuses on the development, exploration, drilling, production and management of oil and natural gas resources and other minerals. Based on the solid fundamentals of math, physics and chemistry, the program includes courses in geology as well as fluid and solid mechanics. Students can choose to specialize in drilling, production or reservoir engineering to establish careers within companies, as consultants or as independent oil and gas producers. Undergraduates have an opportunity to work with state-of-the-art research and simulation equipment on the main campus and TU’s historic North Campus. Philosophy explores the most fundamental questions about human life, including the nature and meaning of the human experience and the limits of knowledge. The program introduces students to the great thinkers and ideas that have shaped our past and present culture. Students develop important intellectual skills such as critical thinking, evaluation, the ability to see implications and alternatives and writing with insight and persuasive power. Students explore the moral and political philosophy, philosophy of logic, philosophy of language, the history of analytic philosophy and ancient philosophy. Physics is the most fundamental of the sciences with principles tied to all other physical science and engineering disciplines. Physicists study how the universe works through research in fields such as string theory, particle physics, quantum mechanics, nanotechnology, optics and astrophysics. The program offers students a foundation in physics and mathematics in preparation for technical or scientific careers. The bachelor of science in physics is necessary for a more technical or scientific role in industry or for advanced graduate study in professional programs such as medicine or law. The bachelor of arts features a thorough undergraduate core curriculum. Political science students are interested in political ideas, institutions and behavior; rights and responsibilities of citizens; and the relationship of people to government. Students gain a broad knowledge of domestic and foreign political institutions by examining political ideologies, collecting and analyzing data from public opinion surveys and election results to develop and test political theories. The program focuses on three areas: American politics, international studies and political and legal theory. The curriculum prepares graduates for careers in law, government service, administration, journalism, teaching, lobbying, nonprofit activities, corporate strategy, military and police. Psychology is the study of human nature — how people use information, what motivates them and how they develop and change. Psychologists study behavior and brain function, collect information, identify disorders and research emotional patterns. They apply methods such as observation, assessment and experimentation to develop theories about the beliefs and feelings that influence a person. While most people are aware of clinical psychology, psychology’s domain is broad and encompasses many subfields including counseling, developmental, forensic, industrial-organizational, school and social psychology. Students develop critical thinking and scientific skills to solve human problems important to all of those areas. The MS in Quantitative Finance is a STEM-certified program designed for individuals with a business or quantitative background and experience or educational training in the natural sciences (primarily mathematics or physics), in engineering, or in applied sciences. This program helps students develop the skills necessary to analyze and implement quantitative techniques as applied to financial decisions, including the areas of asset pricing, risk management, financial forecasting, and financial engineering. For those wishing to pursue a PhD after completion of the master’s degree, this program offers the opportunity for a thesis component. Students will use various statistical and programming software in the curriculum, including SAS, Palisade Decision Tools, STATA, and MatLab, as well as financial databases including CRSP, Compustat, and Bloomberg. The religion program is designed to deepen the understanding of humanity’s personal and cultural experience of religion. The belief and practices of religious people, past and present, are treated in the course offerings which include introductory courses of interest to the general student and courses in the following curriculum areas: the Bible and literature; ethics and society; and philosophy and religion. The course of study encourages a critical approach to religious texts and traditions, emphasizing literary, historical, philosophical, theological and moral inquiries. Course offerings are designed to expose students to the variety of religious languages, literatures and modes of inquiry. The Russian language program has small, student-centered language classes, study abroad experiences and challenging advanced-level courses. Students acquire greater awareness of and appreciation for Russian-speaking cultures, develop proficiency in Russian and a basic understanding of its linguistic structure. By studying foreign literature, students gain a deeper understanding of textual analysis and literary genres, styles and periods; and they engage with current scholarship to prepare themselves to participate in a global society. The study of Russia is critical, given its pivotal geopolitical position, its voice in world politics, and its role in world science and engineering. Russian studies enrich key strategic TU commitments to its internationalization mission, and in particular to energy studies, cybersecurity, information studies, security studies and international politics. The major provides students with a knowledge and understanding of historical and contemporary Russia, as well as the ability to use the Russian language. Students have the opportunity to live and study for a summer, a semester or a year in Russia. Developing the ability to analyze society is a core component of anyone’s education and personal development. Sociologists study social behavior through the observation of group dynamics, cultures, organization structures and social development. TU’s sociology majors can design a customized program of study in preparation for graduate school, professional school (law, business, medicine) and for careers in social service, government, research, consulting, teaching or business. Alumni often find careers in the criminal justice system, social service agencies, urban planning, environmental regulatory agencies and survey research organizations. 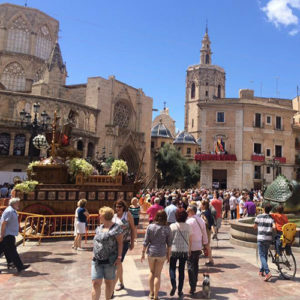 The Spanish language program has small, student-centered language classes, study abroad experiences and challenging advanced-level courses. Students acquire greater awareness of and appreciation for Spanish-speaking cultures, develop proficiency in Spanish and a basic understanding of its linguistic structure. By studying foreign literature, students gain a deeper understanding of textual analysis and literary genres, styles and periods; and they engage with current scholarship to prepare themselves to participate in a global society. 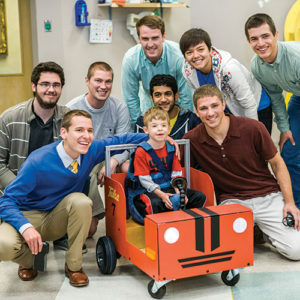 The Bachelor of Science degree in speech-language pathology at TU provides students with a strong academic and clinical foundation for graduate work in the areas of speech-language pathology and audiology. Most students who graduate with their undergraduate degree in speech-language pathology attend a master’s program in speech-language pathology, which is the entry degree into the field. Other graduates of this program attend universities that offer the Doctoral Degree in Audiology (AuD). Occasionally, graduates enter different master’s programs such as the Master of Science in Health Administration. Teacher’s Aid in Union Public Schools, Tulsa, Okla.
A minor in sport management prepares individuals for entry-level positions in the sport industry or enhances sport administration knowledge necessary for advancement in current positions. The sport management minor focuses on the issues and practices of business management in a sport context. The M.T.A. provides graduate students the opportunity to study professional education in combination with a specific academic discipline. It is a cooperative program between students’ chosen academic disciplines in arts, business or engineering and professional education. This program is designed to encourage and develop the passion and potential of the individual graduate student. Applicants to this program should be driven by a reasoned, justified and articulated philosophy of education while taking seriously their role as citizens, servants and leaders in society. M.T.A. 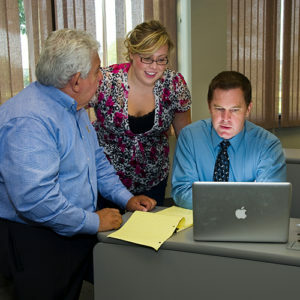 students are required to complete a final research or capstone project as the core research component of this program. Women’s and gender studies examines how gender and other intersecting factors such as race, class, culture, sexuality and age have shaped the life experiences of women and men from diverse backgrounds. TU’s program analyzes how contemporary and historical dynamics impact women and men while exploring ways in which they seek equality. By promoting awareness and knowledge of status-based oppression, inter-relationships and ways in which historical civil rights movements have struggled for equality, TU seeks to change attitudes and practices that silence voices or devalue people’s choices and life experiences.